Tampa, Florida, 21st March 2019: As per reports, four Indian girls- Anna Mary Zachariah (Kerala), Harsimrat Kaur (Punjab), Grishma Niranjan (Karnataka) and Siya Deodhar (Maharashtra) - have been selected to take part in the ‘Next Generation Camp’ that will be held in the US next month. The ‘Next Generation Camp’ is being jointly run by the NBA and the National Collegiate Athletic Association (NCAA) to scout for the best female talent from across seven of NBA’s global academies. The camp is scheduled to be held in Tampa, Florida from April 3-7 and will see the girls going up against other top players from around the world, including those from NBA academies in Africa, Canada, Mexico, Europe, Australia and China. If any of these girls manage to impress the NCAA Division 1, 2 and 3 coaches in attendance, they could be in a great position to follow Kavita Akula and Sanjana Ramesh into the competitive US college sports structure. 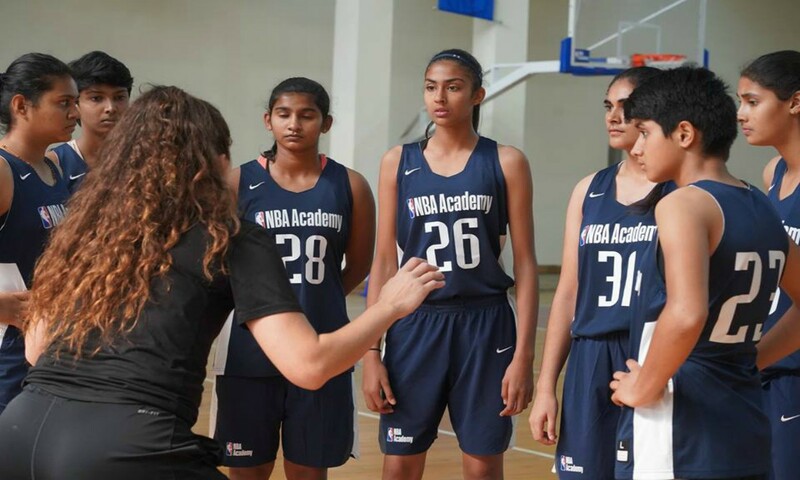 The four girls were selected based on their consistently impressive performances in NBA Academy India camps conducted over the last two years at their training facilities in Greater Noida. The girls will also get to witness the semifinals and finals of the NCAA tournament.